For patients missing all their teeth we have a number of Implant options that can be discussed based on your situation. We offer full mouth implant options to help restore your smile. Missing all of your teeth can have a devastating impact on quality of life. It often makes people feel older than they actually are. 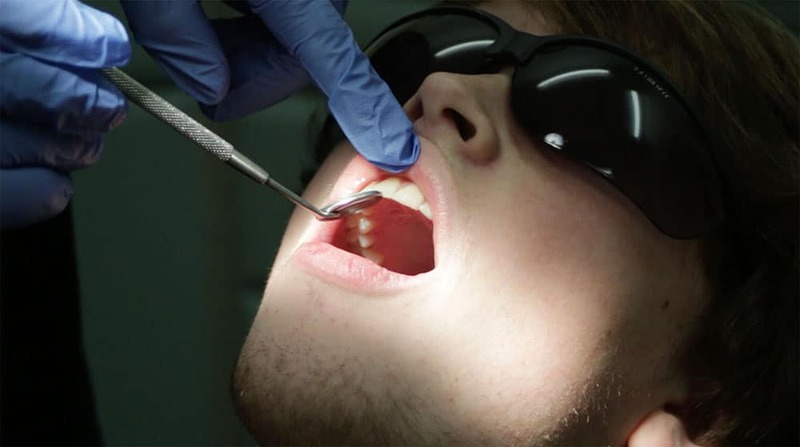 Conventional solutions include attaching the dentures to the gum tissue with either a dental adhesive or by holdfing it in place with a close seal along the border of the denture. The success of the conventional solutions depends largely on the amount of residual gum and bone tissue. Loose dentures can lead to an unbalanced diet and poor digestion. 1) Removable teeth replacement on implants. A removable prosthetic secured on two or more implants using mechanical anchors which retain the prosthetic in a very secure way. Another advantage of these is that the denture can be removed for cleaning and no more messy adhesives and the sense of taste on the palate is also preserved. The alternative to the anchors, is by using a bar to support the dentures. This provides added retention and can be removed for cleaning easily. 2) Fixed Implant Supported Bridge. 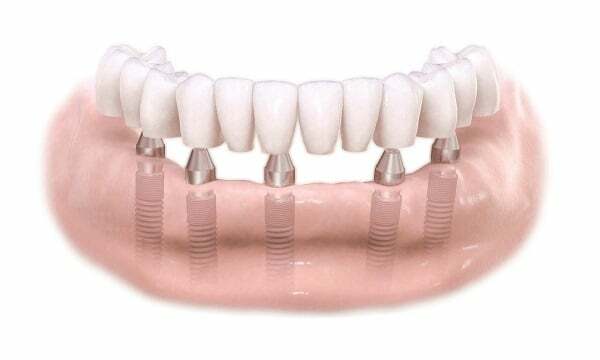 A fixed prosthesis consists of a dental implant bridge supported by four or more implants. The prosthesis is fixed firmly to the dental implants and the gum remains free. As a result, taste sensation is maintained. Screw retained bridges allow teeth to function without restrictions. This type of bridgework is firmly fixed in place and can only be removed by the dentist. All on Four Implants are also a good alternative to use if you are missing a number of teeth. Get in touch and we can discuss your options. What are All On Four Implants? It is a technique we use in which the All On Four implants can be fitted in one appointment as apposed to past methods being over the space of a few months. It is a quicker method and you can rest assured that our friendly and experienced surgeon here at Spencer Road Dental Surgery will guide you through the entire process. The implant uses the stronger bone at the front of your jaw and in most cases; there is no need for a bone graft. Grafting can be very costly and time consuming for the patient and this is the added beauty with the all on four treatment we have to offer. The titanium we use to fuse the implant makes for a durable and life lasting fixture that provides you with a pretty much perfect oral functionality in terms of chewing and maintaining oral hygiene. Walk away with a new smile and restored confidence. Only four to six rather than eight per arch. You can eat immediately after the procedure. Restore your smile, no denture adjustments. Fewer appointments and time off work. No need to wait for 6-12 months for implants. We are accepting new patients. To book an appointment please complete the form below and we will be in touch.